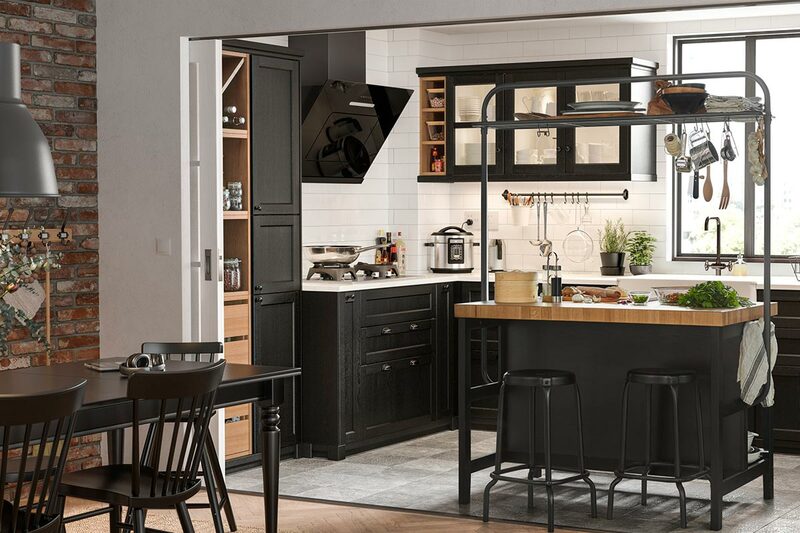 From glamourous brass faucets to industrial-inspired surfaces, these up-and-coming fads are brewing much excitement in the kitchen. Metals are definitely having their moment and it’s shining the spotlight on EDL’s Fenix NTA (Nanotech Alloy) selection. 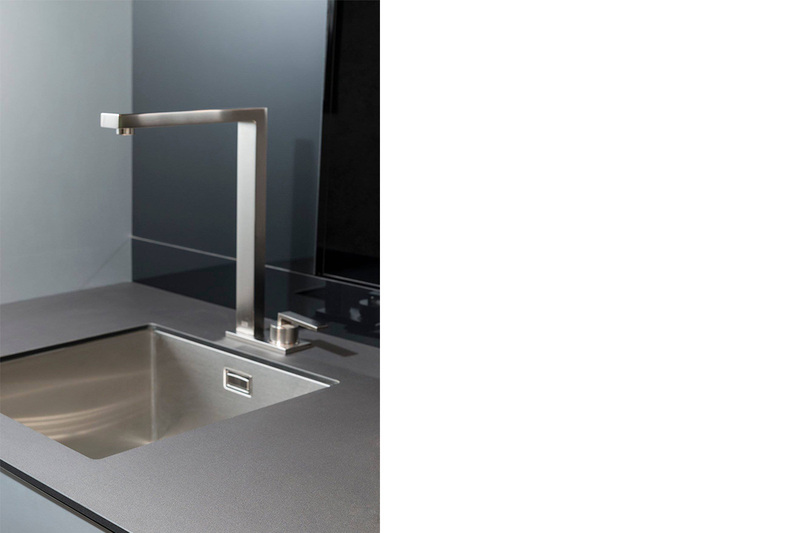 This super-matte worktop comprises a sheet of metal and a surface treatment of next-generation acrylic resins. Soft to the touch unlike the starkness and harshness of metal, the anti-fingerprint Fenix NTA boasts other revolutionary features like low light reflection and the thermal healing of superficial micro-scratches within its hardwearing metallic surface. 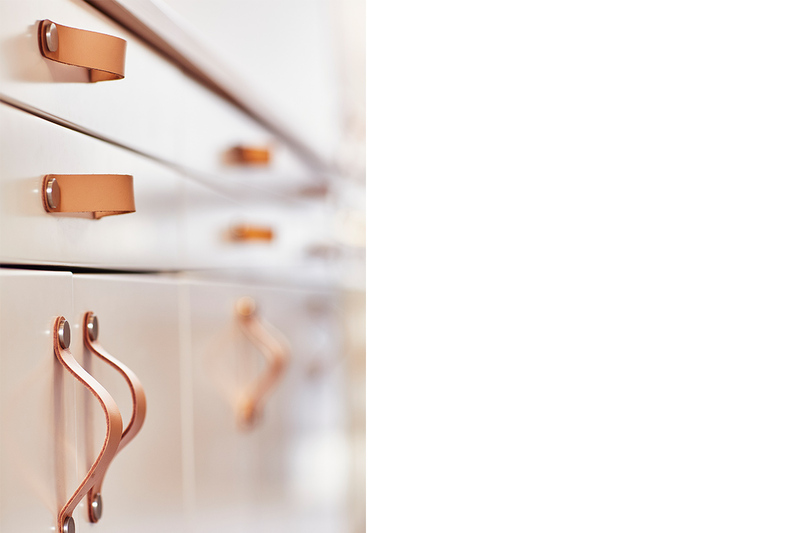 Adding more oomph to utilitarian handles are these ÖSTERNÄS tanned leather handles from IKEA. This gives you a chance to really customise all the little details in your kitchen. You could even go beyond the kitchen and install these on the TV console or wardrobe doors for a uniformed style take. 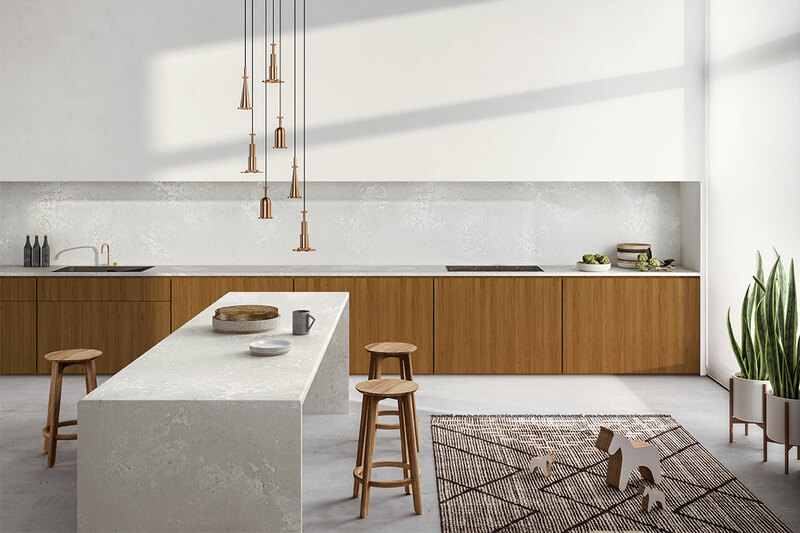 Concrete-effect surfaces usually look dark and moody but Caesarstone’s new Metropolitan collection of quartz surfaces bring a softer, more tonal touch. These surfaces bring a cloud-like patina that results in a truly unique look that comes with a rugged low-reflective matte finish. 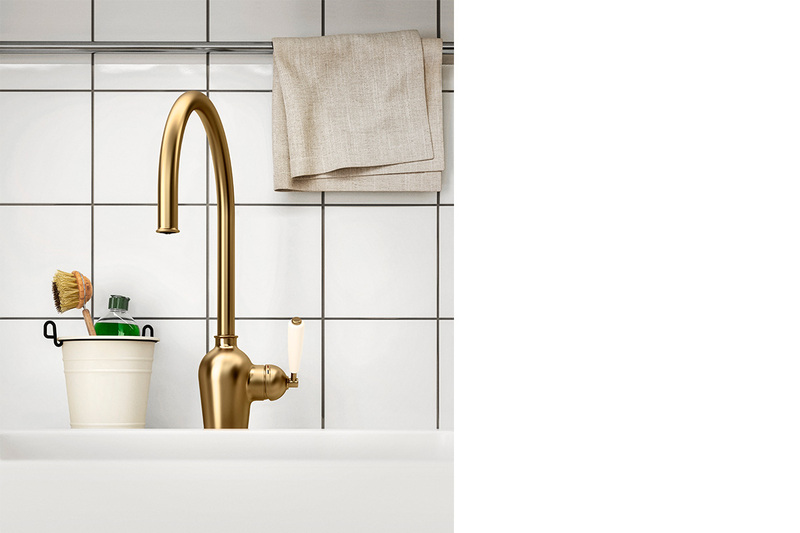 One of this year’s stand-out metals is brushed brass and its metallic magnificence can be seen on this kitchen mixer tap from IKEA. A little sparkle goes a long way and this glorious brass finish certainly adds a polished yet understated look to any cookspace. Terrazzo is a classic material that is making a strong comeback. Updated surfaces feature a sparse distribution of irregular and translucent aggregates with fine black basalt to create a modern interpretation of a stalwart material. It can be used for a matching ensemble of worktops and backsplashes without looking overdone. 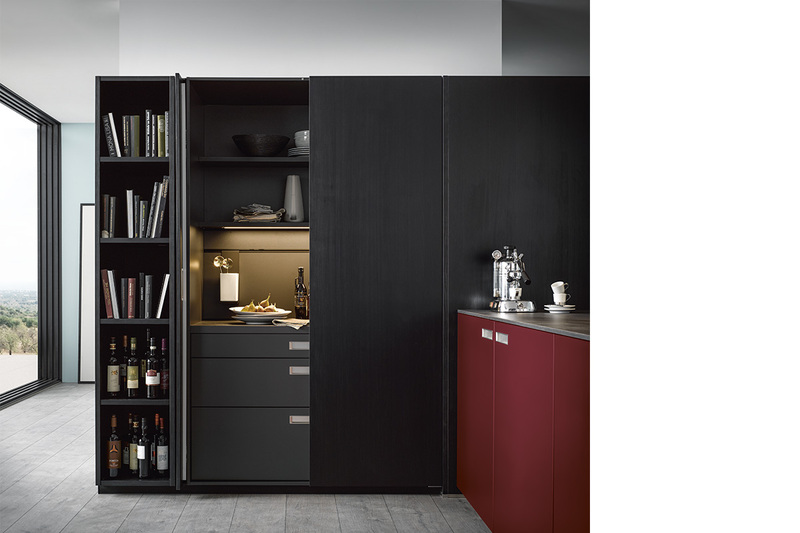 Elevating the aesthetics of basic storage to new levels of refinement, the SieMatic Kitchen features generously sized, tinted glass surfaces for the cabinet doors. 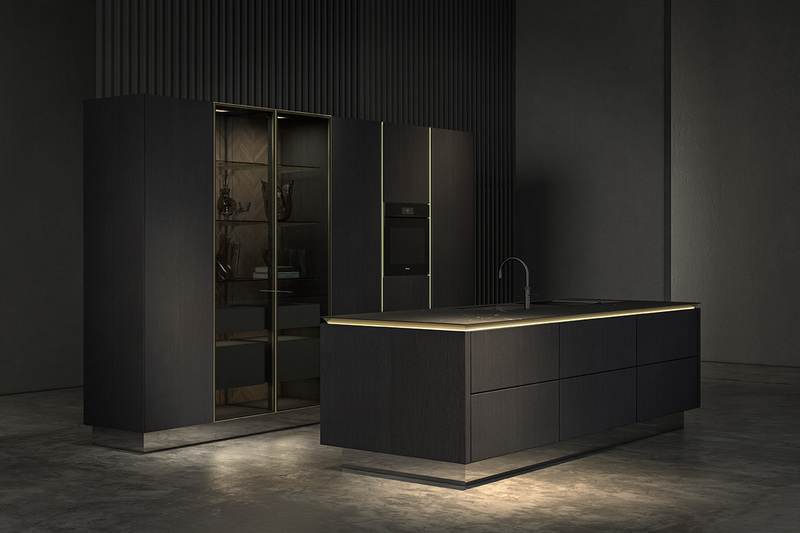 Viewed as a polished jewellery showcase rather than mere storage for kitchenware, it hosts individually controlled LED lighting which has been discreetly integrated within the cabinetry. When lit, it shows off the high-quality wood veneer backing of a finely-worked herringbone structure. Less is more with this streamlined kitchen that is outlined by a consistent 125mm grid and is helmed by single-line optics for a discreet alignment. 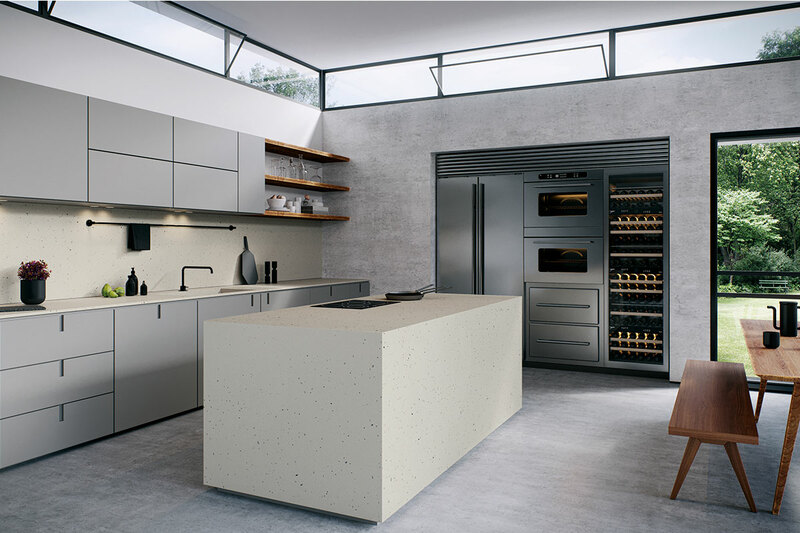 Other design highlights include a horizontal grip ledge underneath the worktop and a well-thought-out system of flexible and cleanable Flex Boxes made of moulded non-woven material to organise drawers and pull-outs.